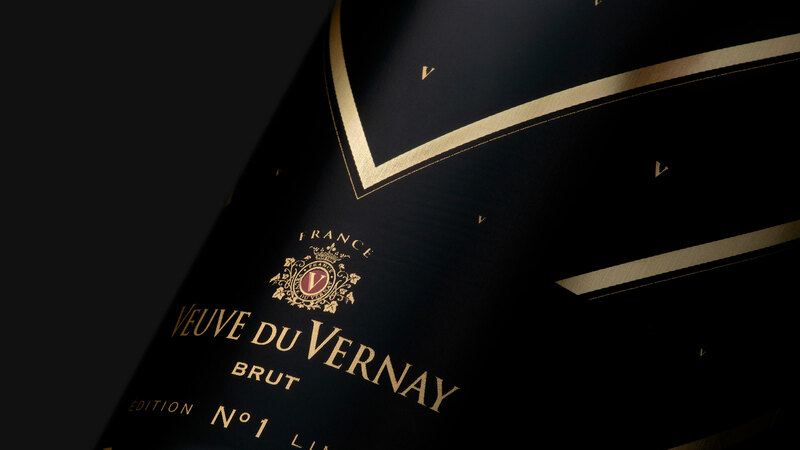 French wine house Patriarche came to DAf for an updated packaging design to boost sales of its sparkling wine brand Veuve du Vernay in the US. The idea was to give the sparkling wine a more contemporary feel, celebrating the brand’s French essence without relying on the traditional visual cues associated with the country. DAf approached this packaging challenge by revisiting the brand storytelling and creating an updated version centered on celebrating the essence of the modern French woman. The idea was to represent contemporary France as something that can be shared through Veuve du Vernay. DAf designed a sleeve incorporating the ideas behind the storytelling in a simple, elegant, premium design. The effervescence and energy of the mysterious French woman featured in the brand storytelling was the inspiration for the design. 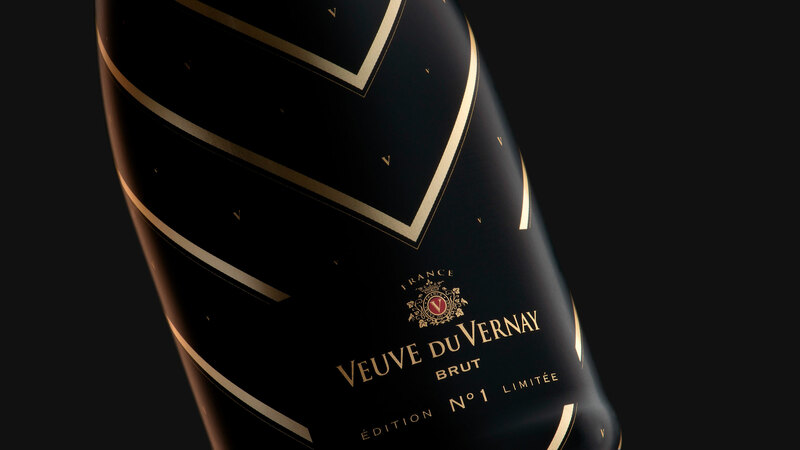 Using these themes and the letter “V”, a sleek black sleeve was created, with golden “V” letters that wrapped around the bottle, emanating from a central point and expanding out to represent energy. 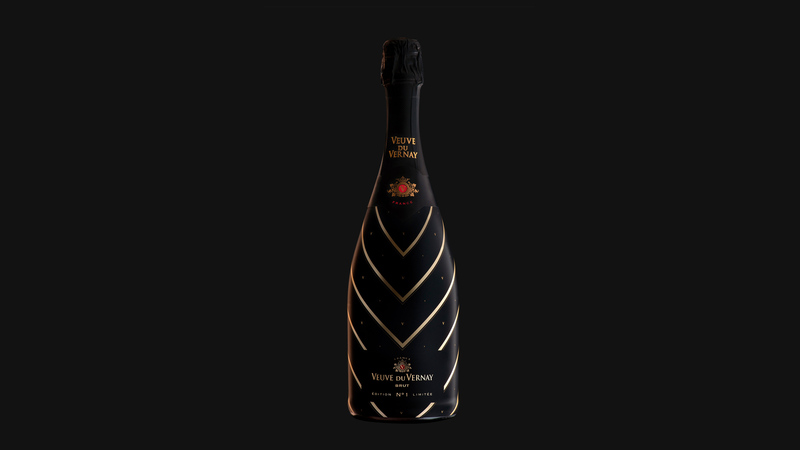 Within these golden rays, small versions of the letter “V” were dotted around the bottle, a playful glint of gold against the rich black backdrop. The result is a sophisticated, minimalist design that reflects the verve of this French brand without resorting to clichéd images and visual cues. 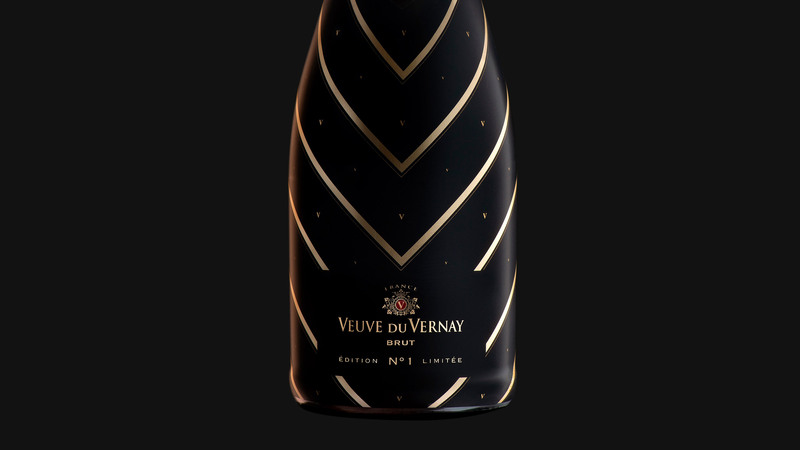 The client was delighted with these novel bottle sleeves that give traditional Veuve du Vernay a contemporary twist. They now appear in stores across the US. A French vibe—minus the berets, bikes and baguettes.